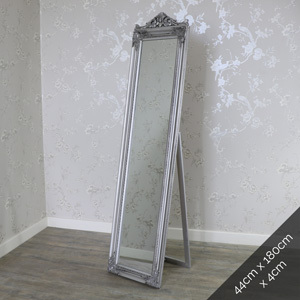 This gorgeous tall cream cheval mirror is perfect for any bedroom or dressing room. 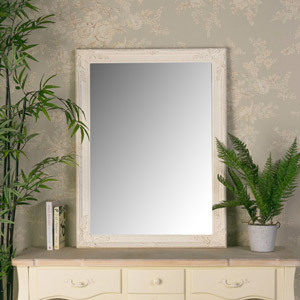 Freestanding with a frame at the back this is the perfect mirror to add elegance and a classic French chic vibe to your room. Cream in colour with a distressed gold / gilt brushed effect to show sign of age this mirror would suit any interior, being an individual focal point or complementing shabby chic or contemporary furniture. 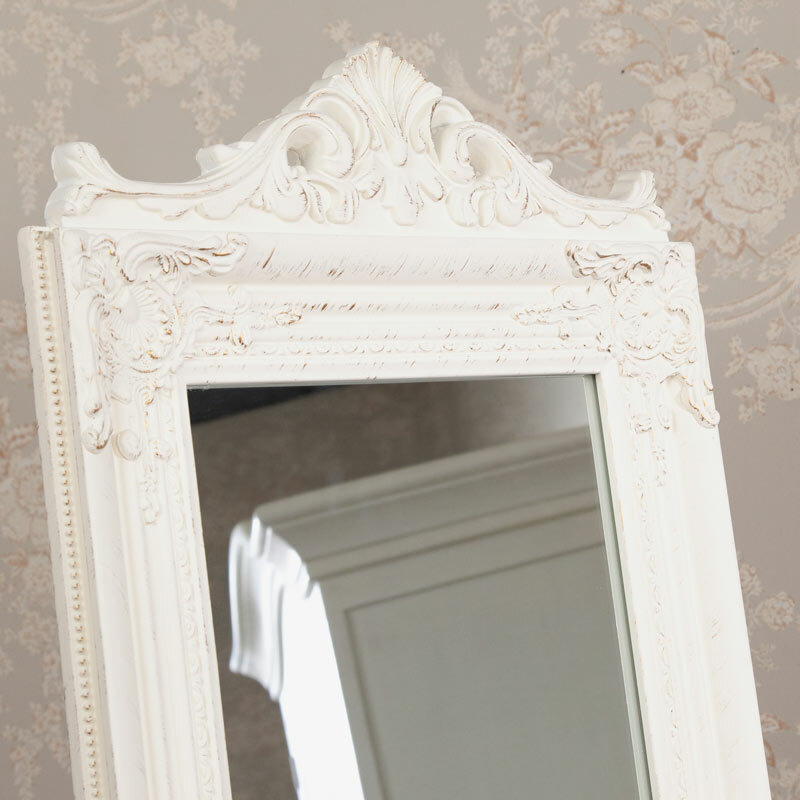 Crowned with a classically, ornate crest to match the beautiful embossed scroll design that features on the corners and the edging of the mirror. 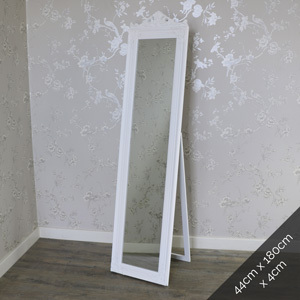 This gorgeous tall cream cheval mirror is perfect for any bedroom or dressing room. 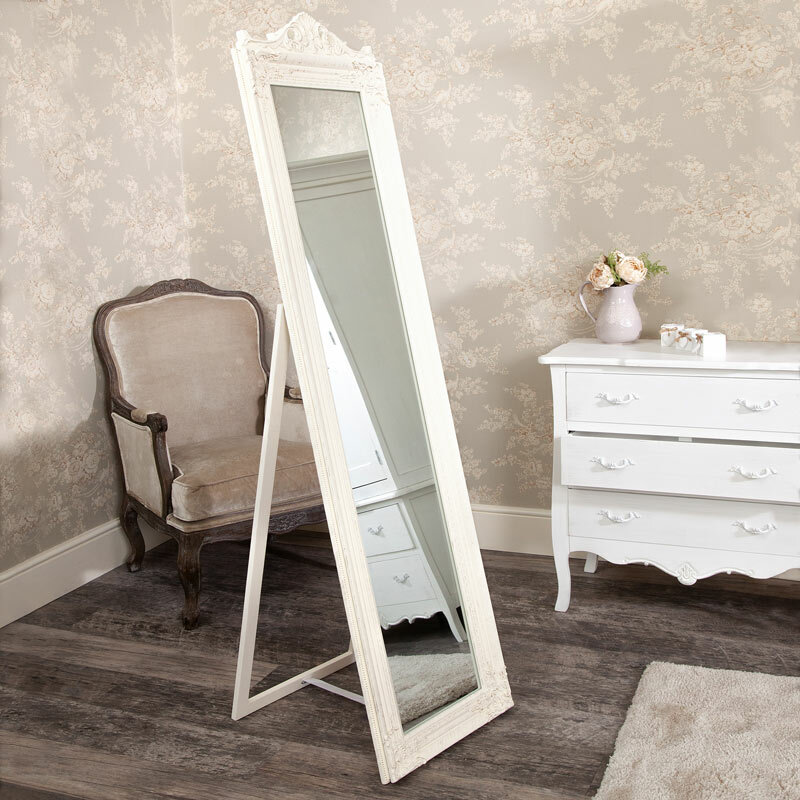 Freestanding with a frame at the back this is the perfect mirror to add elegance and a classic French chic vibe to your room. Cream in colour with a distressed gold / gilt brushed effect to show sign of age this mirror would suit any interior, being an individual focal point or complementing shabby chic or contemporary furniture. 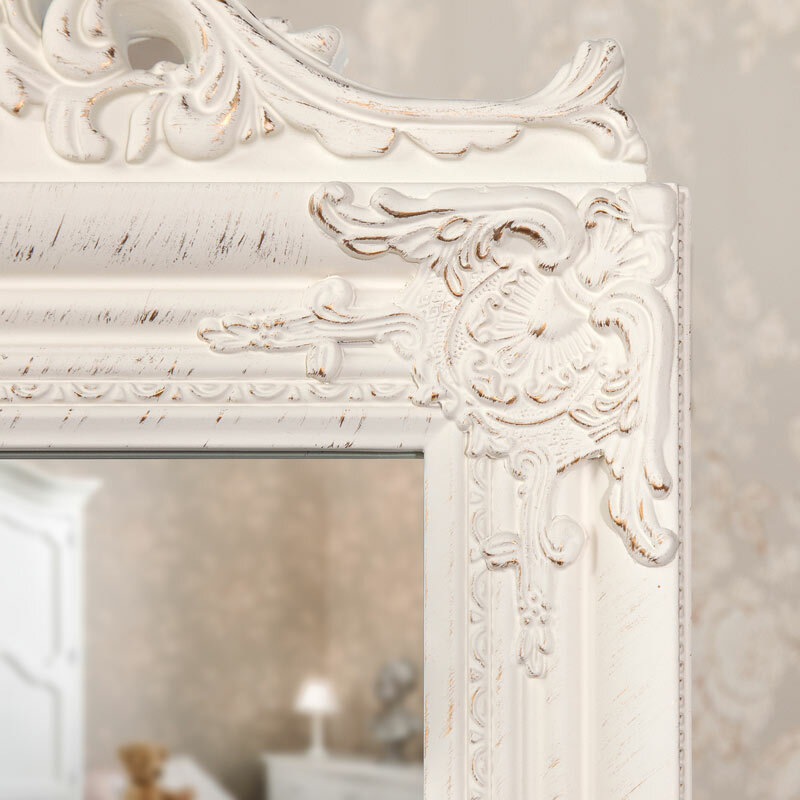 Crowned with a classically, ornate crest to match the beautiful embossed scroll design that features on the corners and the edging of the mirror. With the rear leg frame extended to stand the mirror up it has a depth 50cm. Mirrors are a key part of any home and in most interiors, they are the main focal point, with mirrors to suit most interiors we are bound to have the one to stand out in your home décor.